This Cabo all inclusive package deal for $399 means what it says. You get 6 days / 5 nights all inclusive for 2 adults and 2 children – no catch! Customer video testimonials on line suggest that the deal is legitimate and great value for money. 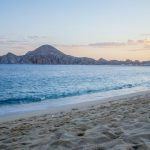 You make a saving of 70% for attending a 90 minute presentation and will enjoy the amazing surroundings of Cabo San Lucas, Mexico from a spectacular Villa del Palmar resort. 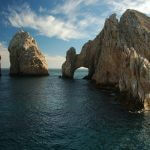 Cabo San Lucas in Baja California is one of Mexico‘s best loved destinations and is the playground of many celebrities and Hollywood stars escaping the stresses of fame. You can join them at a fraction of the price.